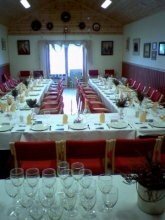 We offers a conference room that is suitable for gatherings and meetings for 35 people. This room is placed in the middle fisherman cabin at the marina. We have all technical aids, such as wifi, projector, screen, etc. 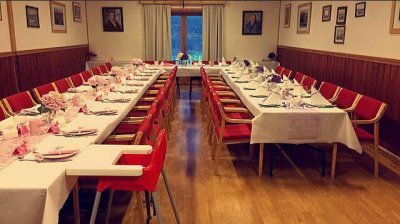 Glesvær kafè may offer all the meals. 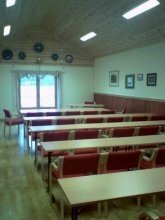 Send a request about the cabins or conferenceroom.